Far too many Macs are full of apps people don't need. Removing apps is not the easy task many would assume. Apps have a way of taking up space all over your Mac, which means simply deleting them won’t always clear up as much memory as you would hope. With the right app cleaner, you can uninstall apps in a few clicks and give your Mac some much-needed extra memory. 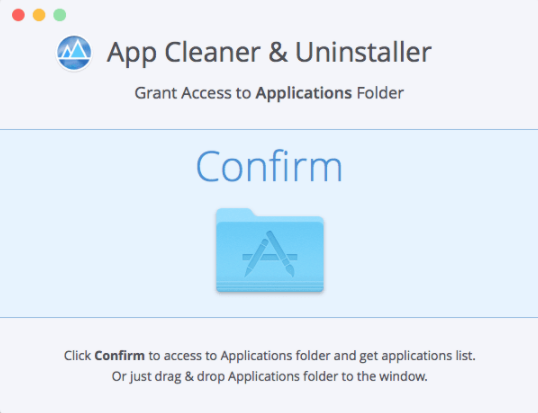 In this article, we are going to cover the best app cleaners for Mac. One of the easiest to use, with hundreds of positive reviews is CleanMyMac X — responsible for uninstalling over 10.5 million unwanted apps for over 4 million macOS users. Well worth a download if you need an efficient app cleaner. Another way to delete apps is to search manually for the component parts, then drag and drop them into trash. But your application folder isn’t the only place that Mac apps hide. You will also find traces in download folders, and often, in browsers. Plugins can be deleted, but make sure they aren't leaving cache files, cookies, and other pieces of junk cluttering up your macOS. If you don't want to delete apps the manual way and look for an effective app cleaner, here are some other options. Below are 5 great apps for uninstalling software. Choose the one that works best for you. 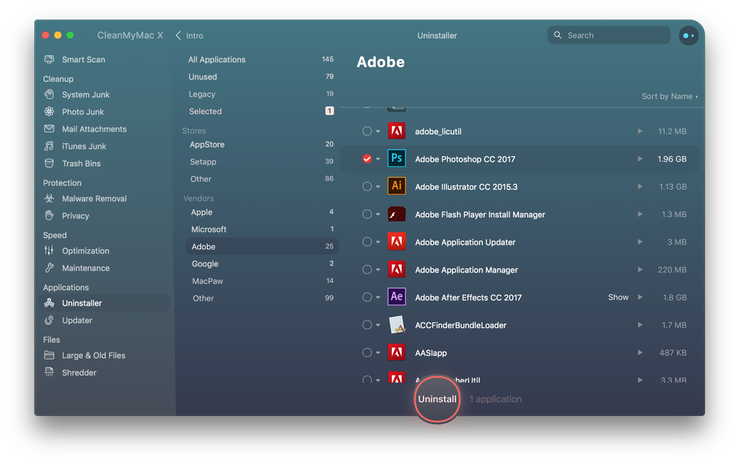 Created by an independent software developer in California, AppDelete is an app uninstaller that deletes apps, widgets, and other related files. Before deleting files, it shows you them for a few seconds to make sure the right apps are going to be deleted — with the option that you can undo a removal, so you don't need to worry about deleting something important accidentally. Once you are confident the right apps have gone, AppDelete removes the garbage files to free up space. This app remover for Mac serves a useful purpose for users that want to free up space. 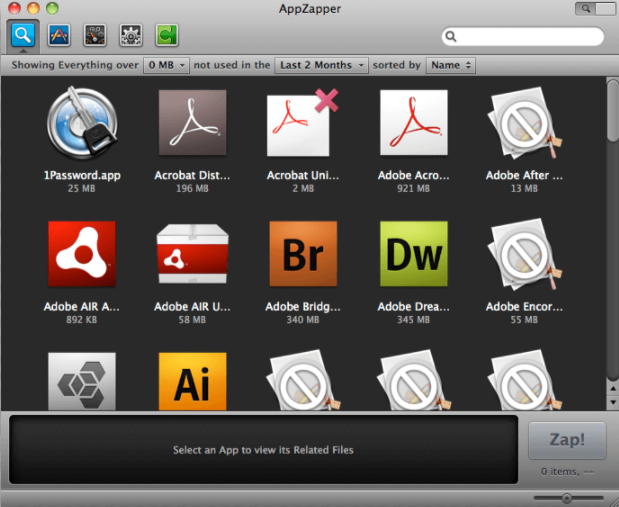 AppZapper is a ‘drag and drop’ app uninstaller that makes it easy to remove unwanted apps. 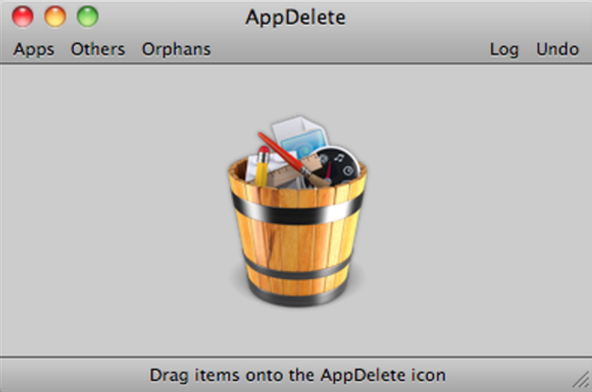 Deleting an app isn’t as easy as dragging it out of your applications folder into trash. Apps keep files and folders scattered about your Mac; however, finding them is the hard part, which is why so many people hope to find a free app cleaner to remove them without any difficulties. Usually, good app cleaners aren't free, but they will get the job done. AppZapper locates the files related to the apps you want to delete. Shows you them first, and when you are confident the right files and cache folders have been located, you can Zap them with one click. TuneupMyMac is another Mac app uninstaller known for removing unwanted apps quickly. Designed for macOS up to OS 10.7, TuneupMyMac is compatible with the latest version of macOS Mojave. You can download it for free to scan your Mac and find the files you need to delete — although there is no information whether it will delete these files, or you need to pay before it will perform that function. The only potential problem with TuneupMyMac, unlike the others mentioned in this article, is there are dozens of forum discussion posts and web pages urging users to avoid it. Some claim it is potential malware or another form of cyber virus, despite several five-star app cleaner reviews. It might be worth approaching with caution and not downloading until you’ve done your own homework. A lightweight free app cleaner for those who download, capable of finding unwanted apps and deleting related files, including login items and launch agents. 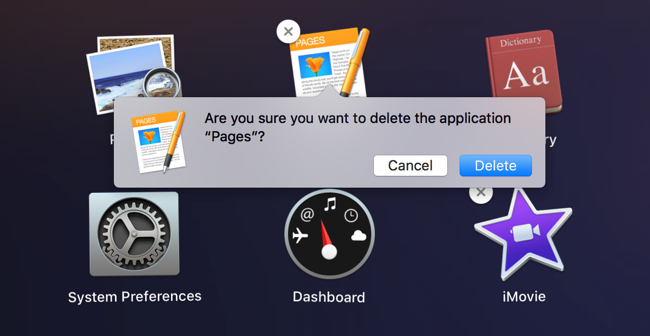 Deleting apps safely to ensure Macs have more space and computing power is the work of App Cleaner & Uninstaller. It comes with several positive reviews from those who've downloaded. 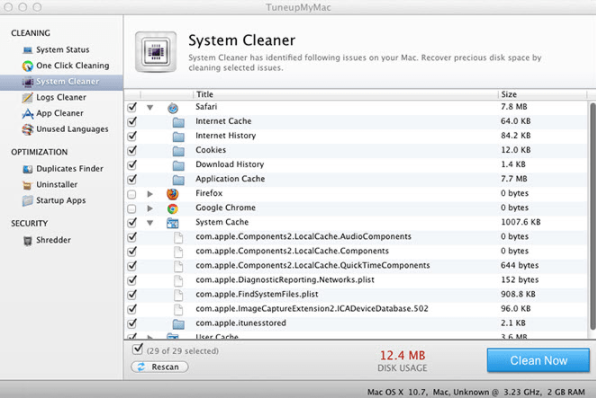 CleanMyMac X does so much more than just remove unwanted apps and free up valuable space. With 4 million users worldwide - and counting - we are delighted that over 10.5 million apps have been uninstalled, with millions more files and folders that were taking up disk space and reducing the processing speed of Macs. With the Uninstaller tool, you can clean up old leftovers and delete apps safely. Plugins and add-ons are also easily removed, with all of the extensions visible in a single dashboard, so you won’t need to open the app they are tied to. System junk, iOS backups, and email downloads are also easily removed with a few clicks, making this one of the most powerful app cleaners around, with hundreds of positive reviews from Mac users, tech bloggers, and experts. Powerful and efficient: CleanMyMac X is the only Mac app cleaner you will ever need.